"Nubuck! What a marvellous word to pronounce! We used the material to craft these dashing trainers. We’re suitably calling them ‘Modern Trainers’. They’re light as flip-flops and tough as old boots, but they’re… trainers! They’ll work phenomenally as your winter attire staple. Go on!" 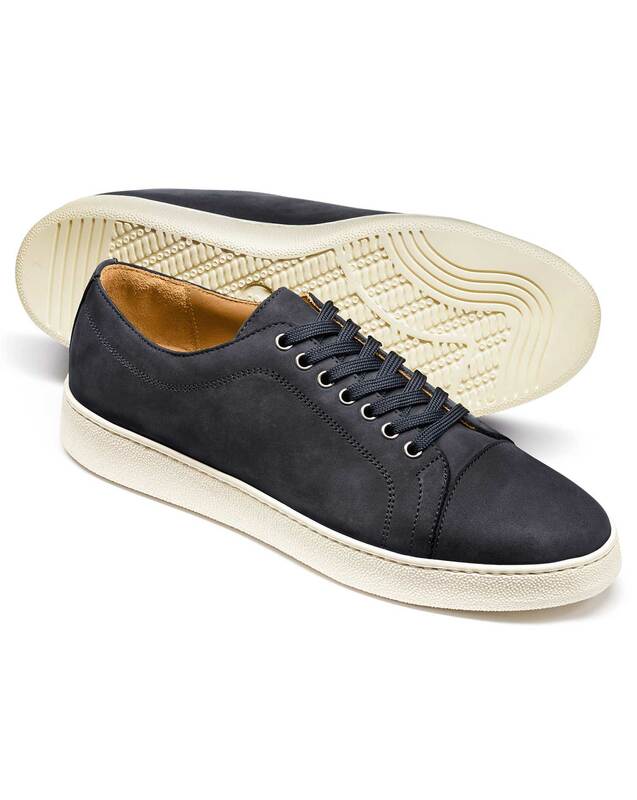 "Nubuck trainers with lightweight, durable and flexible textured soles for improved grip." Bought for a friend, who loves the colour, materials and fit.